Bugs! Bugs! Dinosaurs and more Bugs! If you have a little Archaeologist, an Entomologist or a little one who loves everything about learning, then the Melbourne Museum is for you. This place is world class! The Science and Life Gallery at the west end is where you'll find all the bugs, dinosaurs, fossils, animals, human biology and this Mamma. This is the place we spend most when visiting. Head over to the Rainforest where you will discover unusual species of birds, frogs and plants. The Children's Gallery is also A MUST DO while you are visiting the museum. It's aimed especially for kids under 5 and is full of colour, things to climb, build, tinker and have fun - inside and out. The eastern wing is just as impressive. Filled with indigenous heritage, Bunjlaka is a moving display of aboriginal culture and history. Then upstairs, the more recent Melbourne Story including our Melbournian icons. There is plenty to interact with too, including sitting on an old school seat from Luna Park. They just seem to be missing the seat belts! Look out for the wonderful volunteers wandering around the place. They are filled with loads of knowledge about the each exhibition and always happy to answer any questions and show the kids a thing or too. There are two cafes to choose from when visiting too. The Market Café located just behind the gift store or The Station Café located near the Children's Gallery. Both serve child friendly options and the perfect coffee. Mamma says: Carlton Gardens is only just there behind the big colourful square wall and is worth the 'play' before heading home. 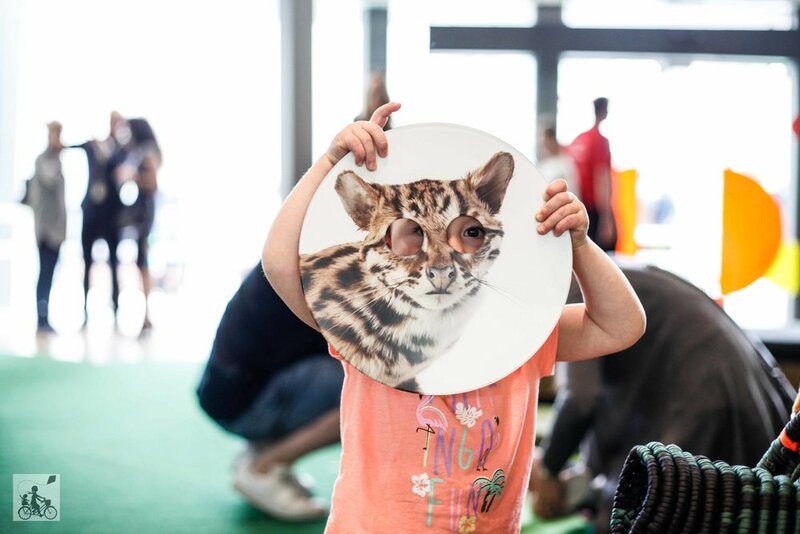 For more on what's happening at the Melbourne Museum and new exhibitions, including the touring hall, click here and here for school holidays.